Patients with locally advanced or metastatic pancreatic cancer doubled their survival time when treated with mistletoe extract in a new European clinical trial—and with very few side effects. In comparison, the standard chemo drugs for treating pancreatic cancer carry such serious side effects that patients and their doctors often forgo chemotherapy and opt for Best Supportive Care instead. Pancreatic cancer strikes 44,000 Americans every year and is the fourth leading cause of cancer-related death in the USA. Despite conventional medicine’s best efforts, the mortality rate of pancreatic cancer remains tragically high at 80 percent in the first years after diagnosis. 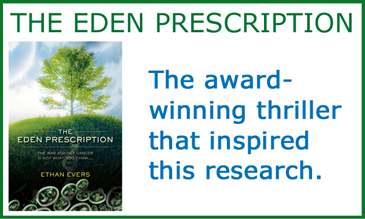 Because of this, natural treatments may be a real option for improving patients’ prognosis. This new Phase III clinical trial was randomized, open-label and carried out in Serbia on 220 patients. All patients received Best Supportive Care. 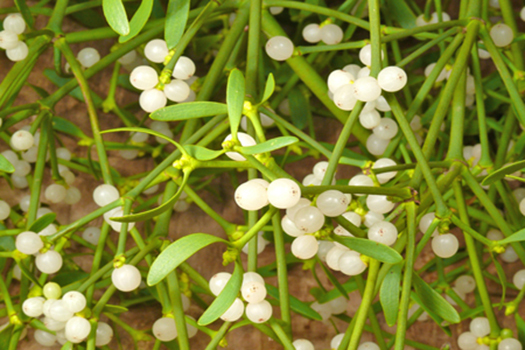 Patients in the treatment group also received subcutaneous injections of mistletoe extract three times weekly with dosages escalating from 0.01 mg up to a constant 10 mg after the twenty-second dose. Patients who started the study with a ‘good prognosis’ saw their survival times more than double from 3.2 months (if untreated) to 6.6 months if treated with mistletoe. Likewise, patients with a ‘poor prognosis’ averaged 2.0 months survival if untreated, but 3.4 months if treated with mistletoe. Remarkably, the group treated with mistletoe experienced only 16 adverse events compared to 53 adverse events in the untreated group. Rather than carrying negative side effects as chemo drugs do, the mistletoe treatment actually decreased the likelihood of painful or undesirable effects (adverse events) by 75 percent. And none of the adverse events in the mistletoe group were caused by the mistletoe itself. This clinical trial achieved such impressive results that it was terminated early so that the all patients could receive the mistletoe extract, based on recommendations of the Independent Data Monitoring Committee. This is not the first time that mistletoe has had success in treating cancer. Many observational and clinical trials carried out in Europe have already shown impressive results for treating cancer of the breast, uterus, cervix, ovaries, stomach, lung and colon, as well as melanoma. One large review carried out in Germany found that cancer patients extended their survival times by roughly 40 percent when mistletoe was added to their therapy (4.23 versus 3.05 years survival). A more recent meta-study (covering 49 trials) confirmed a survival benefit as well as a near universal improvement in quality-of-life. Mistletoe still banned in the USA: is good science being ignored? With all of this accumulating evidence in favour of mistletoe and decades of use in Europe, it is strange that it remains banned in the US by the FDA. Past trials have indeed shown inconsistent results, but we now know this is due to the varying quality of the different extracts used. The most favourable and consistent results (including the large studies quoted above and the new trial on pancreatic cancer) have been achieved with an extract made in Switzerland using mistletoe grown on oak trees. This particular extract appears to contain the best combination of active phytochemicals (lectins, viscotoxins, flavonoids, triterpene acids, etc.) and is now being used in two large European trials (400 patients with pancreatic cancer and 800 patients with colorectal cancer). Until American authorities accept mistletoe’s safety and efficacy, it appears that the benefits of mistletoe will only be enjoyed by patients in European countries which are more advanced in the science of natural medicine.